You build your website with the dedication and the hard word and then suddenly one day the site removed from google index. What would you do? How would you know the reason to get deindexed from the search engine? You all know that you get the traffic from the search engine and it is possible that the search engine can take your website down. But why and how? You are dependent upon the Google and you should build your website on the basis of webmaster guidelines. In this post, I am going to tell you the reasons for getting deindexed from the Google? Why Was Your Site Removed From Google Index? There may be many reasons for that. It is possible that your website has violated the Google guidelines. Maybe your website isn’t worthy to stand on the internet. These are just the common reasons. Let me give you the tour. 1. Search Engine Visibility Option:- While handling the WordPress blog it is possible that you unconsciously click on the Google deindex option from your WordPress dashboard. If you haven’t noticed then let me show the option present in the WordPress settings. Just go to the settings>>reading and scroll down. 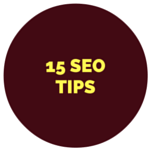 You would see an option of “Search Engine Visibility” if you click on that checkbox stating to discourage search engine from indexing this site then your WordPress site would get removed from the search engine. It has happened with many WordPres beginners, who did it mistakenly. No one wants to ruin their work just with one check. I am sure, you won’t do that mistake. 2. The Poor Quality Content:- You have tried to boost up your blog just by writing and writing. But you haven’t think about the quality of the content. This is the violation of the guidelines provided by Google. Just for the sake of good ranking, you should try to manipulate the search engine. Google is smart enough to catch you red-handed. Provide the unique content which can stay longer and build a better blog. 3. Over-Optimization:- When people hear about the SEO factor and the SEO tips and tricks then they try to optimize their blog posts. But they don’t focus on the fact that every influencer advice that not to overdo the SEO. When the bloggers learn about embedding the keywords in their blog posts, they jump on them which results in the keyword stuffing. Write for your readers, not for the search engine. Even the Google has mentioned in their guidelines that you should write for the people, not for us. If you keep doing over optimization then Google deindex is near you. 4. Your Website Contains Malware:- It is possible that your website was hacked and the malware has taken control over your website. And you know that Google won’t let to keep going like this so the final solution is to deindex your website. You should know the WordPress security tips so that you can improve the security of your website. You should disable the directory browsing using the .htaccess file. The PHP execution should be disabled so that the hackers can’t hack the PHP scripts available in your WordPress directory. Never keep the default settings when you install WordPress for the first time. Change the default username and you can change the table prefix of the database table to improve the security. 5. Check From Google Search Console:- If the site removed from Google index then you can check the security and crawl errors from the Google Search Console. I am sure you know how to add your website to the GSC so that you can manage it. Just go to your account and choose your website to check the critical errors. It is possible that it would show you the reasons for Google deindex. You can check the affected URLs or fetch your website from Google. If you get any error in any URL present on your website then you can remove the URL using the Google Search Console. 6. Duplicate Content:- The newbies think that they can copy the content from the famous websites and put it on their website to increase the traffic. This is the dumbest thing anyone would do. Google won’t let your website stand if you have the duplicate content on your website. Don’t be a sissy. Work hard and boost your blog by learning the proper blogging ways. There are many blogging tips using which you can enhance the level of your blog. If you’re thinking about the traffic then don’t worry about it. You would be able to drive traffic to your blog if you keep the consistency and quality. 7. You Tried To Trick Google:- You would find many blackhat SEO owners who claim to trick Google with their black SEO techniques. I hope you are not thinking the same. If you’re, then think again. Google is one the biggest search engines in the whole world and you can’t manipulate its algorithm. If you do then your website would face Google penalty. My website got deindexed- The question shouldn’t retain the same now. You should follow the guidelines provided by the Google to craft your blog with the quality and reader focused. Have You Got An Answer For Google Deindex? Though, there may be any reason mentioned above to get your website deindexed from the search engine. But still, you should always try to build your blog with the quality factor and don’t deceive your readers. And the most common WordPress mistake is the checkbox available in your WordPress settings. Always try to retain the content on your blog and write what you want. But don’t try to show your crazy mind a way which would lead to the penalty and may be the deindexing. If you found this article helpful, connect with us on Twitter, LinkedIn, and Facebook. Your every point is perfect,ly accurate towards google’s behavior, if your content quality s very poor or your web pages hold malware then that can be a google reason to get unindexed from a search engine. Very nice article and a unique approach. Google is the biggest search engine and has the algorithms to check the duplicate content. If you do that, it won’t be good for your website. There are many other reasons due to which your website can get deindexed from the search engine. You should never check on the box shown in the settings of your WordPress admin panel. Not fully de-indexed Ravi but I have suffered an accidental blockage of ROBOTS.TXT which stopped Google to access the Meta description of every blog post that I had. Hence a drop in search rankings. It took me a couple of months to go back to normal. It happens when you put the wrong folder or files in the robots.txt file. I have had faced it. The file was blocking the Google bots and I had to remove the list. It was really a tough time.